This Easter Advent activity is set up for busy families who have access to the internet, to use during or after dinner. It includes a song, verse, and activity for 7 days to use during the Easter week. This is also great for those of us who don’t have the time or desire to make cute little advent calendars that I shared with you here. 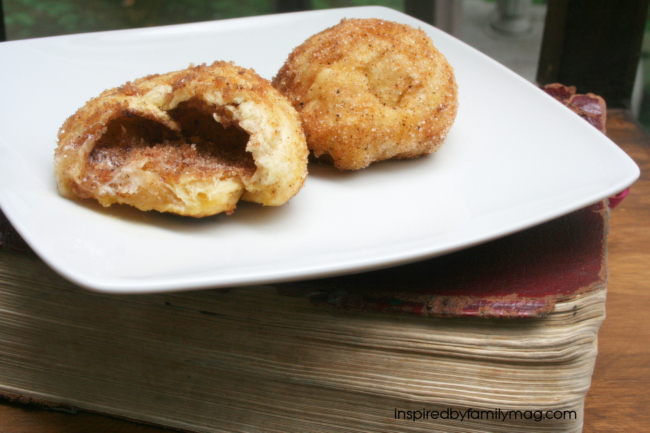 All you need is a computer and a Bible to help you celebrate Easter all week. But if your kids enjoy activities and your time allows I’ve also added some activities to help bring the stories alive. Additional: You can cut and paste the information below into your document and print it out, to have on hand. If you have time you can cut each day out and place the strip of paper in an egg and put them in a basket on your dining table. After dinner get your computer ready and read the verse for the day and discuss it. Afterward, watch the song video (some days have two options play one or both) and if you’d like, enjoy doing the activity that goes with the devotional. 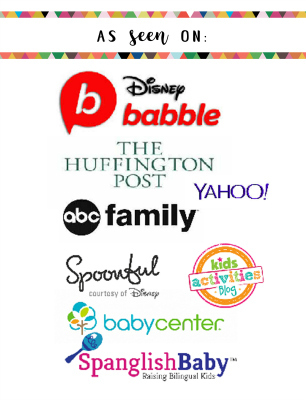 Feel free to change up the songs or activities to go with your child’s age. Why did Jesus die on the cross for us? ACTIVITY: Play Charades to guess the verse below or other verses like Zeph 3:17 or Romans 5:8. Have 1 child act out the verse and the rest of the family guess. VERSE: John 3:16 For God so loved the World….. Talk about all the ways we know that God is wild about us. This is also a good time to talk about why Jesus died on the cross for us. VERSE: John 12- The people came out to meet Jesus riding on a donkey and sang Hosanna. The festivities started with great joy but ended…..
ACTIVITY: 1. 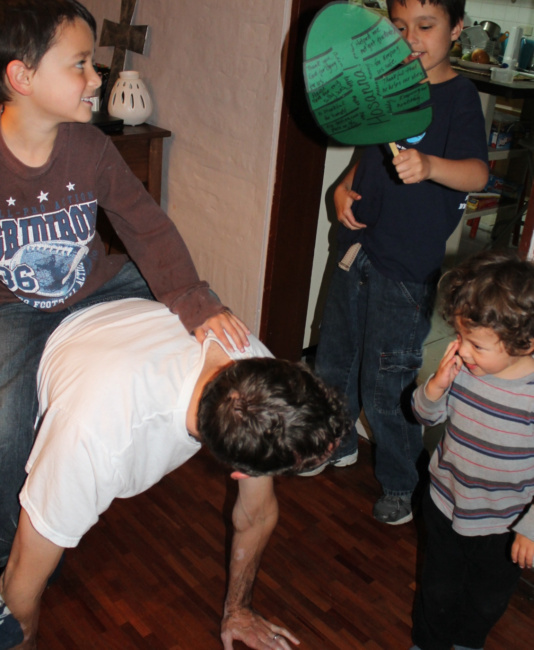 Mom or dad give donkey rides around the room. 2. Make palm branches from construction paper and tape popsicle stick to the end. On each palm leaf write a way we can honor/praise Jesus. VERSE: John 13 He came to serve, heal, save….. Discuss who their superhero is and why. How is Jesus our superhero? What are the things Jesus came to do? How we can serve others and what was so great about Jesus washing feet. ACTIVITY: Simple option- Wash your kid’s feet. 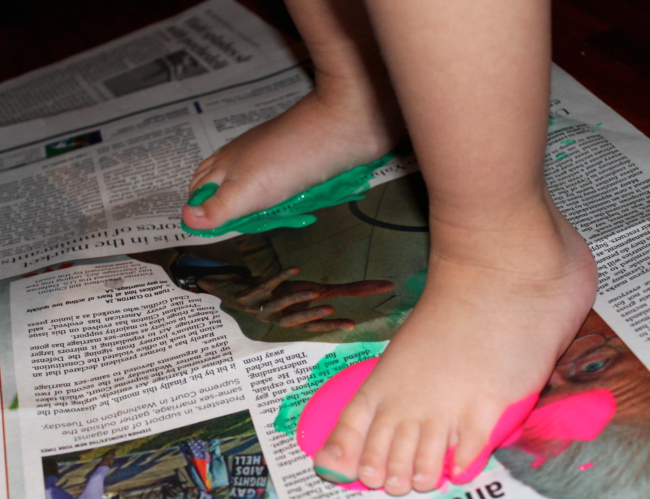 More time-consuming option: Dip your child’s feet in washable paint and have them do some feet paintings. Then wash their feet in a bucket. My husband did this last year for one of our family devo’s and the kids still remember it. Play this song during activity. One way but many paths to choose from. VERSE: Matthew 26:48-49 Judas betrayal. Discuss how we are constantly given choices in life. The importance of choosing right, unlike Judas. 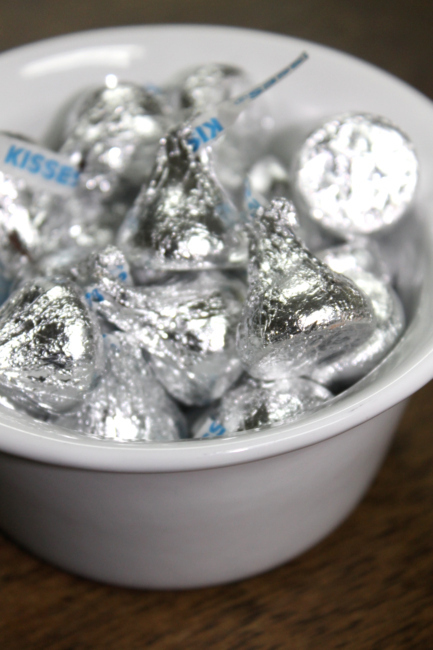 ACTIVITY– Give each child a chocolate kiss and enjoy the treat. VERSE: Matthew 27: 29-31, Jn 19:16-22- Discuss what happened at the cross and why it was so important for this to happen. 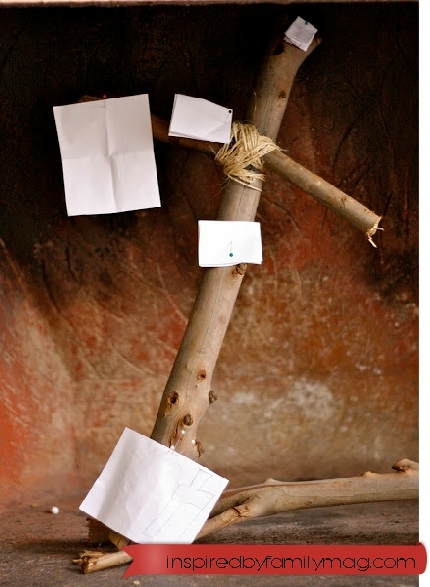 ACTIVITY: Make a cross with 2 sticks (popsicle sticks or twigs) and string or you can make this cross image above. This paper cross doesn’t involve any cutting or crafting or gluing. Or you can bead a cross. VERSE: Matthew 28:1-3 Discuss how Jesus followers felt now that he was dead? Did they feel alone? sad? Who moved the stone? ACTIVITY: Throw stones/rocks and see who can throw them the farthest. 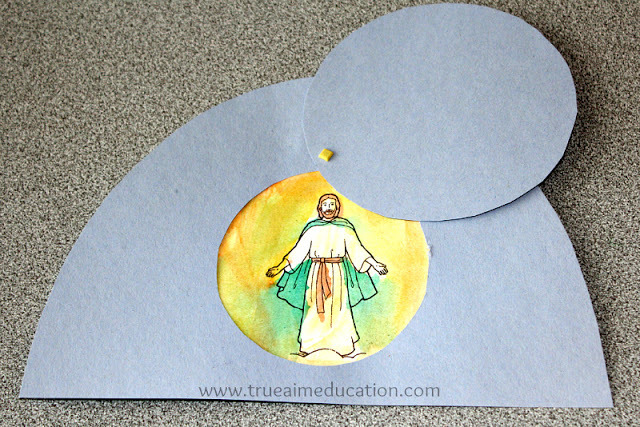 If you want a craft True Aim shares this quick Easter craft (image above). VERSE: Matthew 28:5-8- Empty tomb – Share the good news with the world, HE IS RISEN! I would love to hear how you made this your own whether you revised the verses, songs or activities for younger kids or teens. Comment below with your blog link or show me on our Facebook wall. Can’t wait to hear about it. We have lots of Easter Ideas here. Guess what? This year I decided to make a printable kit for you all! The kit is simple and fun and has all of the activities from above and a few extras in — pdf form! Just join our subscriber list below and you can get the Easter Advent Kit for the Busy Family printable to download immediately! 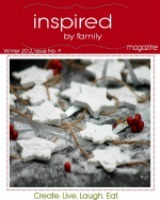 Stop by and check out our Simple Celebrations Spring Issue 2013 free for your viewing pleasure. Trish, Enjoy, we have for the past few years!